Let me begin by saying.. yes…. I am SHOWING OFF! This post is all about me showing off to you. Because I am really rather, very and totally pleased with myself. There. I hope you don’t mind my smugness, but sometimes, I think you just have to be, right?!?! 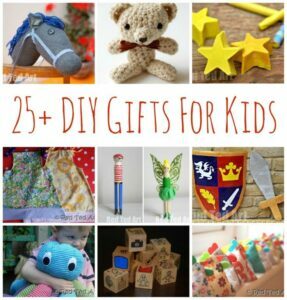 I do love a Gift to Make for Kids! 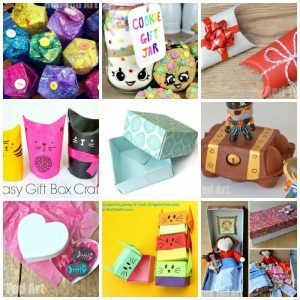 (I also think this makes a great DIY Gift Box idea) A few months ago, we received a GORGEOUS book – Crafty Dolls (more on that at the below) – and from that day on Pip Squeak has been browsing it on a regular basis. She asked if I would make her a dolly. I am ALWAYS making the kids things, but I thought this would be a big project so I said – Ok, Darling, for your Birthday, ok?! And now her birthday is around the corner, I finally had to get around to making her Rag Doll. Now. My 5yrs old, gorgeous as she is, is also TERRIBLY messy. There are things all over the house. 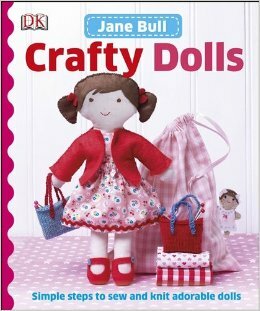 And I know that this crafty doll would be a real labour of love. She didn’t just want the doll, but she wanted outfits and tutus to go with it. I didn’t want this dolly’s right shoe landing in the front room, the coat disappearing under the bed and her tutu to go in our dressing up box.. so I pondered about how I could “contain it all”.. and contain it all NICELY. 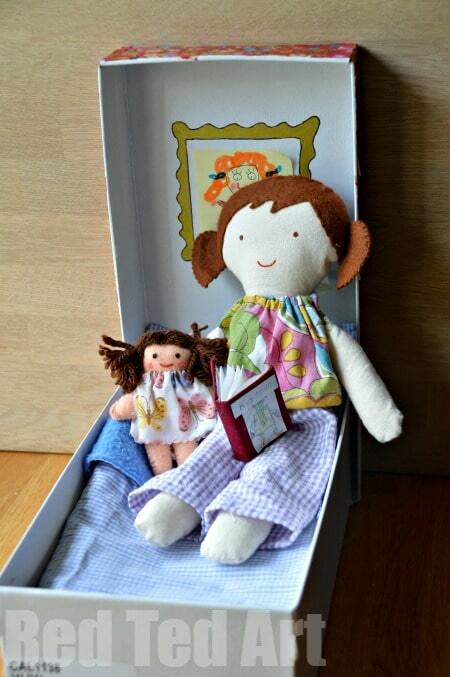 In a way that Pip Squeak would WANT to look after it all and then it came to me: A Doll in a Box Gift Set! 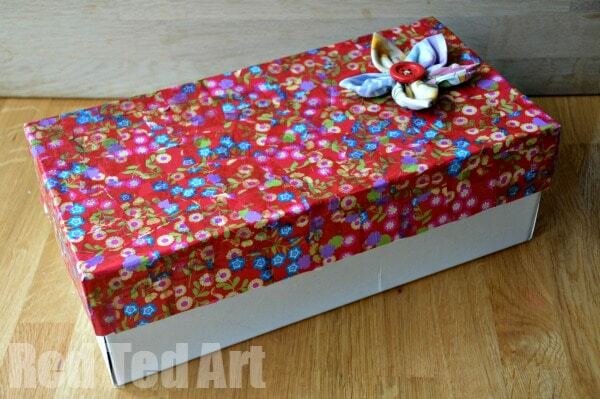 I was going to make the doll a shoebox home. 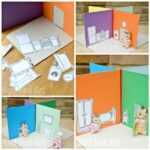 A doll’s home “on the go” – complete with “inter changeable artwork” a bed and storage for all there things.. ta daaaaaaaaaa……….. I am ridiculously pleased with the shoe box idea! 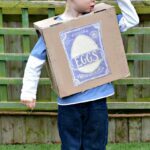 This is how Pip Squeak will receive her Doll in a Box present! I used decoupage paper and made a Fabric Flower to glue on. When she opens it, she will see her dolly + a baby doll like this. You can see on the lid of the box that I added a “picture frame” detail, where Pip Squeak will be able to “hang” her own post it not artwork. This is what you see when you LIFT open the box that that the doll was lying on. Here we are ready for a day out. What will dolly find to photograph? And didn’t Red Ted do an AMAZING job with that finger knitted orange scarf? I knitted the hat for him. And that camera slides open, so you can draw the “pictures you have photographed”. 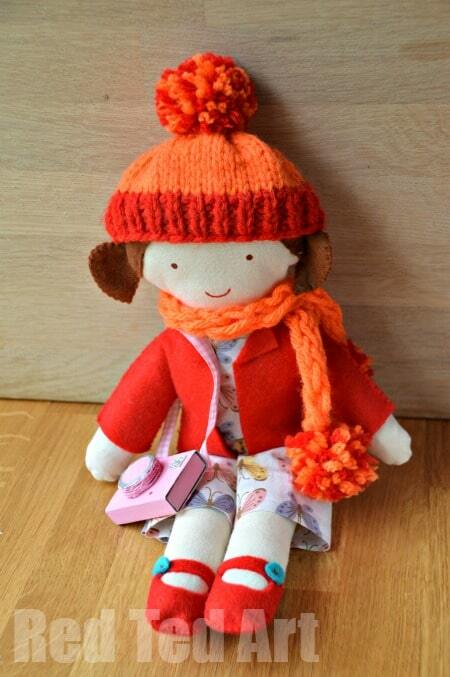 The Dress, Coat, Shoes and Wolly Hat are all patterns from the Dolly Book (see below). Though we adapted it slightly by adding a pom pom to the hat and elastic to the skirt rather than ribbons. 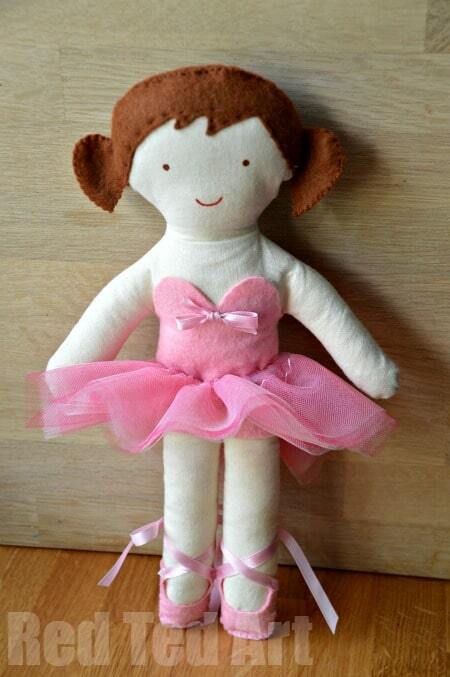 Now dolly is off to her ballet lessons! Have fun! The pattern for the outfit is from the dolly book, I adapted it slightly to use elastic and velcro, rather than pins and ribbons. What a busy day! The Pyjama set is from the book, as is the little dolly. I adapted the baby dolly to have “woolly hair” (rather than felt hair) and essentially made the hair as per the mermaid here, glued it on and stitched it i place for extra safety, I also used marker pens to add the face details). 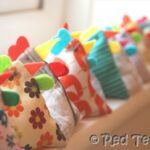 The pillow and blanket are “my pattern” (ahem, just sew around a rectangle). And now Dolly is ready for bed. We have put all the clothes away in her bed box. Her artwork is up and she is reading a book (about box trolls that Red Ted made a while back!!!). Night night dolly! We love you! 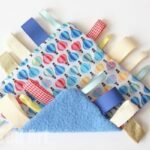 I have to say, on the whole I found all the patterns easy to do and manage. I think they are designed for a young girl (maybe 8yrs+??) to have a go herself. It is all based on hand sewing, do I did do a bit of it on the machine. And it uses a lot of pinking shears patterns – to avoid having to sew additional seams. I have to confess, that I didn’t rely on the zig zag cuts, and added some fabric glue here and there to “seal” everything. The felt patterns are super easy to make. Though I do worry a little about “wear and tear”, as I can imaging Pip Squeak tearing the odd seam her or there. But we shall see! Overall, a super cute book, with great ideas and patterns and I know I will have a v happy little girl very soon! 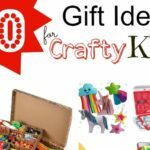 More Gift Ideas to make FOR You kids. Super job on the scarf Red Ted! Maggy this makes me wish I had a little girl or I still was one! SO cute! Aww I hear you Valerie, my son is the same! 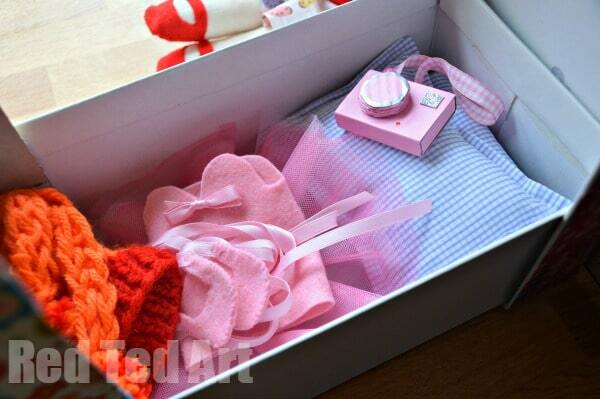 Could you make yours a “Teddy in a Box”? That is sooooo gorgeous. I am very inspired. At the moment though, my 3 year old is still very very attached to the teddy she has had since birth. 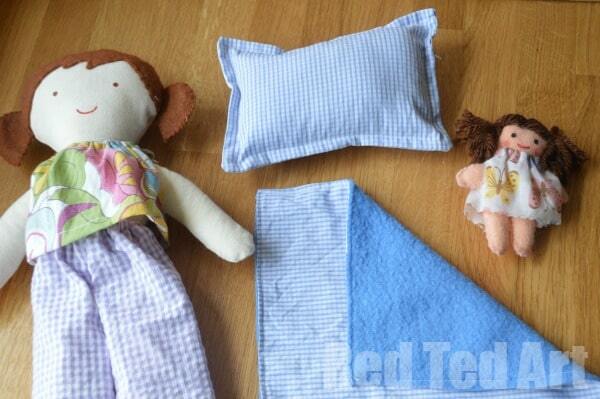 I think any other doll would soon be evicted of her lovely box bed, and teddy would be installed! Oh yes make make make make! 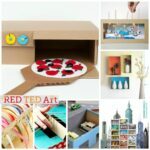 And in the meantime,make a box bedroom for teddy too?! my daughter has her 5th bday this weekend. maybe I still have time for this? So beautiful! Maybe start on one and then give her clothes etc for Christmas?! 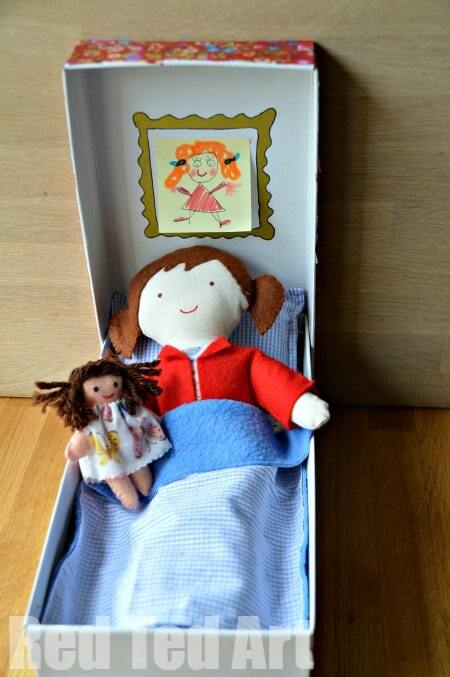 Or make a Teddy in a Box bed? This is adorable! The book looks lovely. WOW! These are amazing! 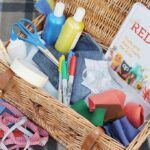 My little one would LOVE this! I would really love to know how your little girl responded to the lovely present you made! 🙂 well… she was VERY quiet for about 10 minutes, just looking at it all. Then she grabbed it all and didn’t let it go ALL DAY (even though we were visiting family). She has now gone to bed with her Dolly (Annabel) and has post it notes and pens ready to draw some art to go in the box when she wakes up in the morning!!!! Awww, sorry these are not for sale 🙁 you have to make it yourself! OHMYGOSH! 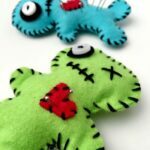 You need to make these and sell them!!! 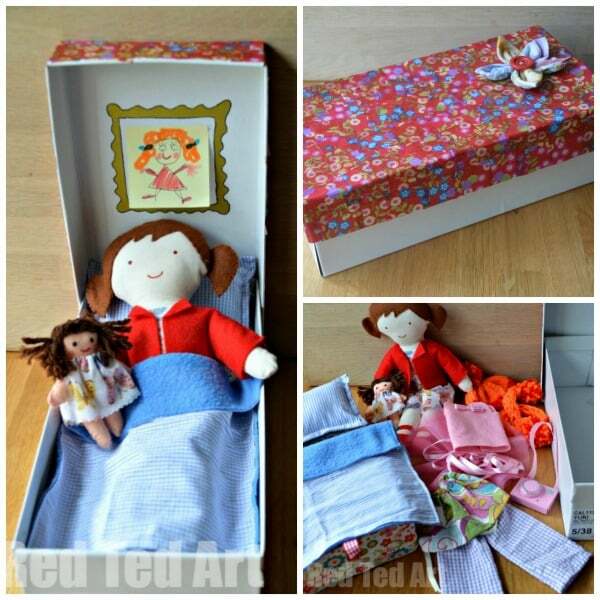 where can you get the pattern for the doll in the box like to make one for my granddaughter ? Hi Candice – at the bottom of the post, I have linked the book that I made the doll from! Have fun!!! What a super idea! Thanks for sharing. I loved all the things you included with the doll, and the framed picture is a brilliant touch. Wow, this is adorable! I love classic cloth dolls and what a nice present to give to your girl! The book looks very interesting, I might get it for my girl as she has juststarted to learn to sew. 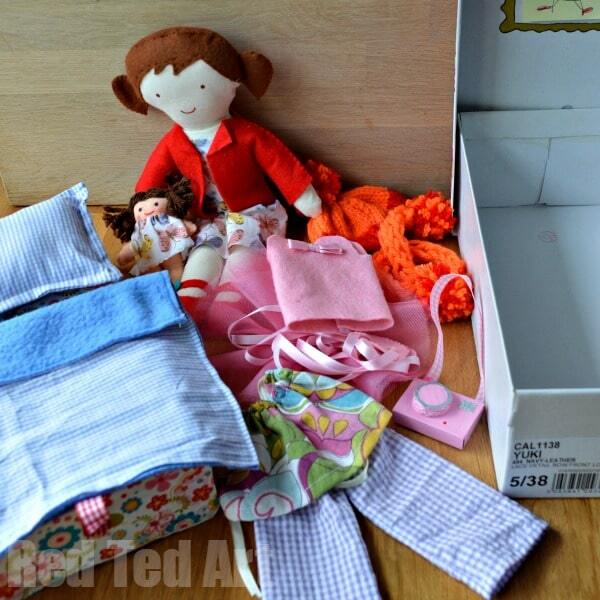 I gave her for Christmas a few sewing kits from “Dress My Doll”, which are these ready to sew doll outfits, very cute and they come in different difficulty levels.